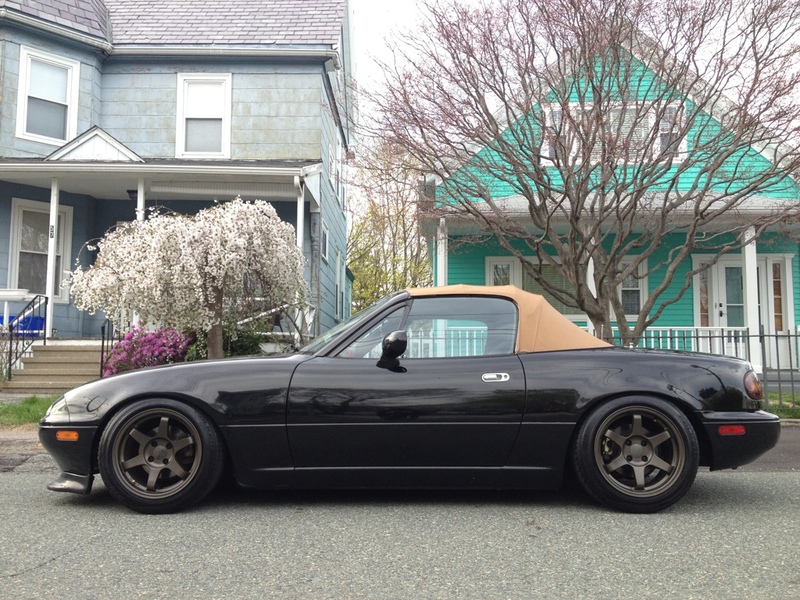 15x9 wheel fitment: VarrStoen V1 - Miata Turbo Forum - Boost cars, acquire cats. Hey guys, got a quick question for the more experienced in this area. 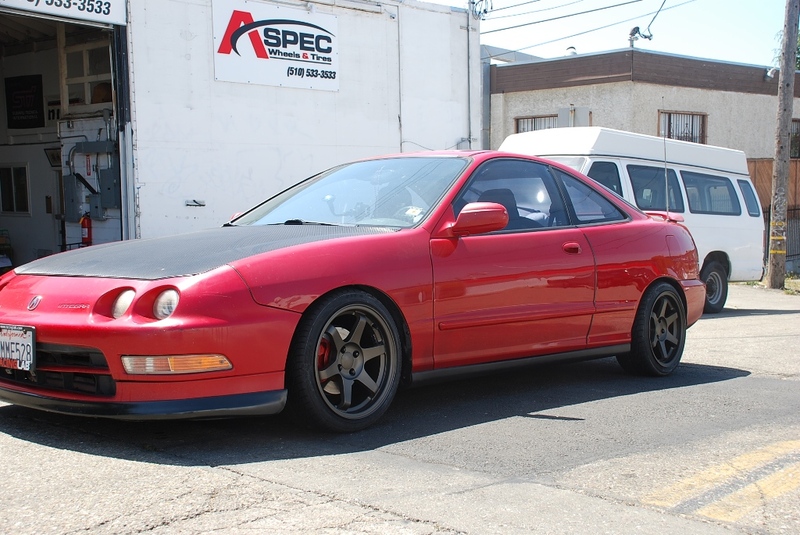 I currently have some Konig Helium 15x6.5 wheels and Dunlop Star Spec 205s and I want to move up to 15x9 wheels. I love me some 6ul like everyone else, but I can't be stuck waiting weeks or months for a spare if I bend a wheel. 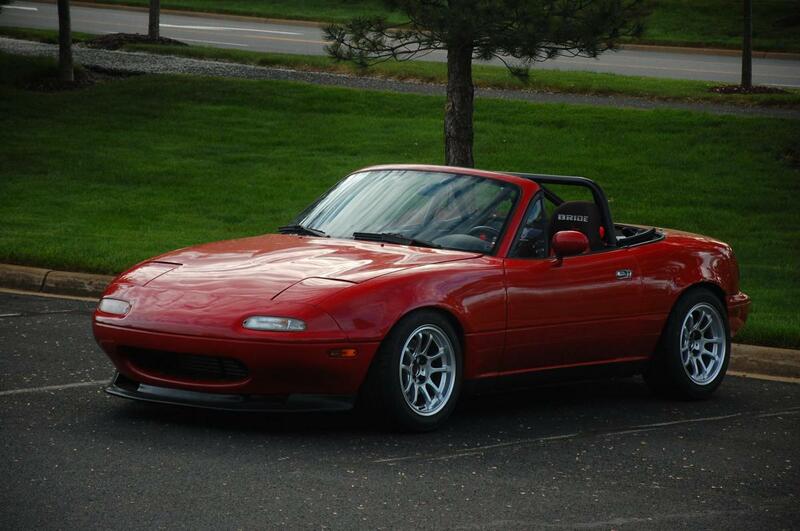 I've been looking into the VarrStoen V1 for my Miata and was wondering if their 15x9 +25 wheels would fit without pulling. I do plan to remove the wheel well liners and roll the fenders though. 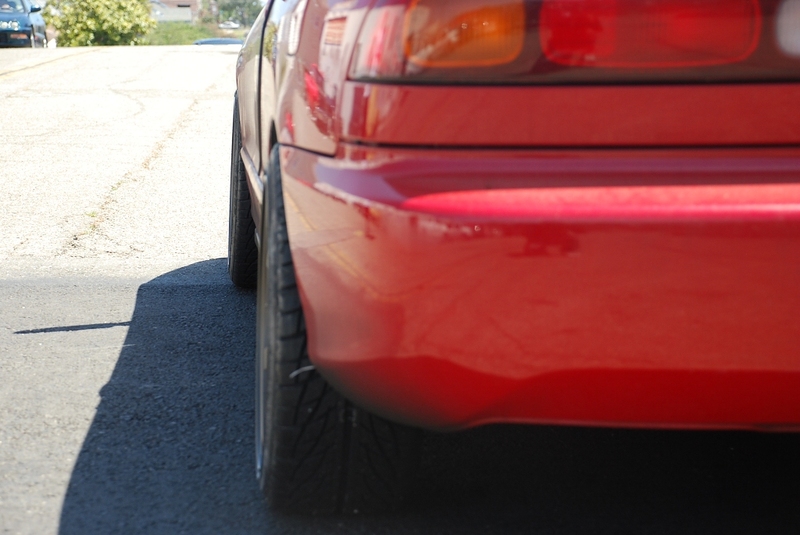 Anyone know if I'd need spacers or anything to make this work, or unrealistic levels of camber? They do weigh almost 2 pounds more per wheel compared to a 15x9 6ul, a 4.2 pound increase from the 11.4 pound Helium. I plan on putting 225's on them and don't want to rub if at all possible. I might stick my 205's on them and do a slight stretch on them until I get some 225 tires later on. I run 15x8 +20 with 205/50 as daily driver. Flat fenders and it, imo, barely fits. 15x9 +25 will work if you have a LOT of camber front and rear - at least 3*. FYI, Emilio keeps a small supply of spares, so even if they're "sold out" current owners should be able to buy a single wheel if they bend one. I did not know that. Triple the production! But you're not going to get -3* of camber with stock control arms without going hella low. Just buy the correct offset or pull the fenders. 3* of camber at ~4.0" front ride height is perfectly obtainable. Yes but thats too low unless you want a lot of rake or like breaking axles or just don't drive hard. For your specific, narrowly defined application, you might be right. I suspect you're talking about your SM2 car, which has specific issues that don't apply to 99.999% of other cases. Not sure why you insist on constantly applying your narrow experiences to every setup situation you come across? For the vast majority of applications and users, 4.0" front ride height is not too low. Thats actually from AWR, too low in the rear = broken axles. And the other car was in the 4.25" area and breaking axles left an right. I'm higher than that because something is different in my front end that brings the tires in closer than average. I'd love to be able to run 4" front, but I'd like to keep my tires off the tub. I'd love to be able to run 4" front, but I'd like to keep my tires off the tub. I don't understand why you think your experience with 275/35 Hoosiers is relevant in a thread specifically discussing 225/45s on a 15x9 wheel on a street car. I'll probably get another 20 negative props, for recommending anything less than a 9" wheel, but have you looked at goodwinracing's Konig options? They're light, cheap, and have several options in 15x8 (even the same TE37 rippoff design you're looking at), will require less work to fit, you can still run 225's, plus you get the benefit of buying from a really really good vendor that's also supports MT. How can i be the first and only one to say not to buy from this rip off, fake, **** company? 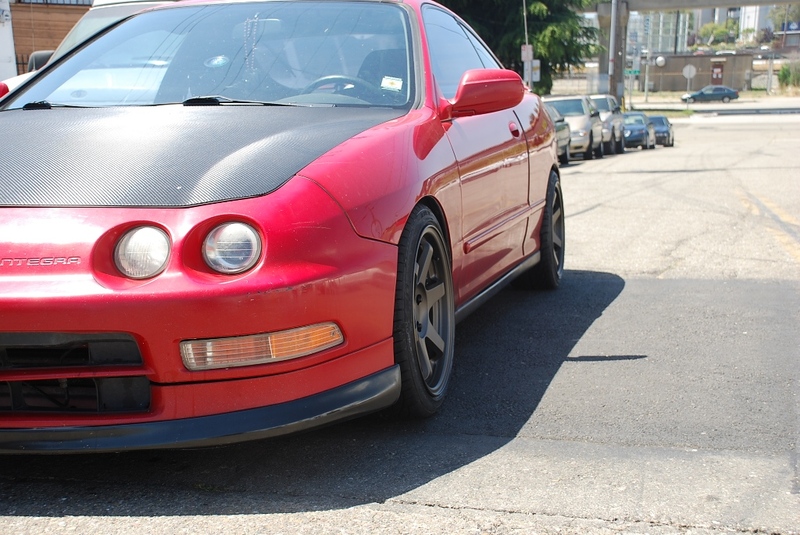 Because putting a of Volks on a $3000 car is dumb? If you don't like them, don't buy them. It's relatively simple. That's not the point. The point is that this company is a bunch of rip off scammers. **** them. I have a hard time believing you will fit 225 on x9 without pulling the fenders...I would play it safe and get the x8 w/ 225s or just take the time to pull the fenders. Then again...buy the **** put it together and make it work. I think its reasonable to get 225 on x9 wheels to work with some effort on your part. Why don't you want to pull the fenders?